My condo is on the 2nd floor with direct access to the hot tubs, ski lockers and the new Zephyr Gondola!!! 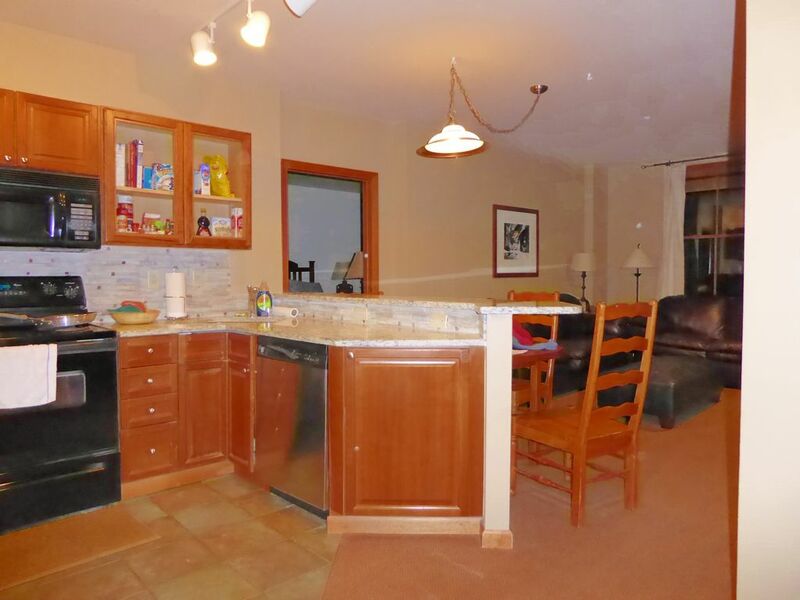 Relax, unwind, indulge and enjoy in this PREMIER 2BR/2BA CONDO WITH TRUE SKI-IN/SKI-OUT directly from the patio Slopeside Lodge!! I WILL beat or match any advertised rate and you get a quieter unit, EASIEST ACCESS, NO WAITING FOR ELEVATORS, COOKS KITCHEN. The cheapest rates will be for 5 nights or longer stays within one calendar week. I will also give deals to fill in holes. Creidt Card Payment/Damage Deposit: A handling fee of 3% will be deducted from the security deposit. International card fee is higher. Avoid elevators and stairs and enjoy easy access from your walk out patio in Slopeside of Zephyr Lodge in Winter Park. No building is closer to the slopes at this Winter Park resort than “Slopeside”. Don't be fooled by claims that other locations are ski-in/ski-out. As owners of this beautiful condo we can pass along a savings to you for your next vacation/getaway. We are very glad to have you and will go the extra mile to have you come back and stay with us again. We have many repeat customers. For the little ones - there is a rental company in WP for baby items. Start your morning sipping Starbucks coffee while you enjoy the relaxing view of watching the first riders up the lift and the first skiers down the slope. Walk just a few steps to your locker and you are 100 steps from the Zephyr lift. Ski the morning away and when you are ready for a lunch break just ski back down directly to your door from any of the slopes and enjoy a nice hot lunch from our well-equipped kitchen. •	The well stocked kitchen includes china, glassware, silverware, stove, oven, microwave, refrigerator, coffee maker, toaster, grill, and a crock pot. Just bring your own meal essentials. Enjoy tea, Starbucks coffee, olive oil, spices and condiments on us. Laundry essentials are also included. •	Unit sleeps up to 10 adults or 12 quests with 2 or more being children on the twin trundle. •	We provide POTTERY BARN LINENS - THESE ARE MY LINENS. PLEASE DON'T GIVE THEM TO THE ZEPHYR STAFF. THERE ARE YELLOW TOWELS FOR THE HOT TUB. PLEASE DON'T TAKE MY BATH TOWELS OUT OF THE UNIT. •	Relax in the master suite which features a King Size Serta Presidential Suite pillow-top mattress. There is also a twin bed with a trundle. A HD TV with Blu-ray is available for your viewing pleasure. Bedroom number two has a set of twin over twin bunk beds and sleeps 4 and HD TV. •	Unwind on the inviting leather furniture in the living room in front of the gas fireplace. The La Crosse convertible sofa includes an extra-long/thick Ultima Plush mattress for sleep over guests. The living room also includes a HD TV with Blu-ray. AND AN EXTRA PLUSH AIR MATTRESS - instead of the sofa sleeper!! •	Two big bathrooms each with tub/showers that include whole body shower heads for those sore muscles after skiing or hiking. •	Zephyr Lodge Slopeside has a fitness center and two large hot tubs for your relaxation. There are plenty of outdoor winter activities for adults and children, e.g. skating, tubing hill. View the web pages for other fun ideas. •	Underground parking is available. You will pay the parking fee directly to Zephyr Lodge with the swipe of your credit card when you enter/leave the underground parking structure. Your credit card will only be charged $16 for 24 hours and there is an hourly fee, too. The first 2 hours are free, after that - you have to pay. There is no free overnight parking anywhere near the resort. A key will be mailed to you after payment has been received which will include a self addressed stamped envelope for you to return the key after your stay. Fees include a refundable $300.00 key/damage deposit. I live in Denver with my husband and two boys. We love the size and location of the unit. Just walk out the patio door and enjoy nature. Zephyr is as good as it gets! The two hot tubs are a nice way to relax after skiing or biking!! This unit sleeps 12 people with a master bedroom, leather sofa sleeper, the other room has two twin bunk beds. There is another twin trundle in the master. I also have a new queen size air mattress with memory foam topper. With the two bathrooms, no one will wait for showers. We really enjoy being able to park either in the garage or out back and not mess with the stairs or elevators. Awesome village next to the lodge. you can also get additional towels at the outdoor hot tub. these are my linens, please don't swap out with the lodge. underground parking $14/day in ski season. Free the rest of the year. but you won't need it - you walk out to ski!! 43 inch Flat Screen LCD HD TV with an HD DVD. There is also a selection of movies for you to watch. You can store your bicycles on the porch or in the underground parking area. We had an amazing time at Winter Park again. We enjoyed the closeness of the hot tub and being able to ski right to our floor! The condo was accommodating for us. Everything about renting the condo throughout the stay was convenient. We would definitely consider contacting her again to stay. I cannot tell you how accommodating Carol was and the condo is in the BEST place! While you might think you want a condo higher up, trust me...you DON’T. You’ll end up having to deal with the elevators which are SLOW. Do yourself a favor and stay at Carol’s lovely condo. This unit is very comfortable and right next to the gondola and in the middle of the Winter Park Village with several restaurants, bars, and fun. You can keep your car parked in the garage. Amazing place - you literally can’t be closer to the slopes. The fireplace was so cozy and we loved watching skiers from the patio and hot tub. I highly recommend! Great Ski in / out and Perfect Location!!! The owner was accesible and easy to deal with. The condo was comfortable and well equipped. Thank you Carol for a great place to spend our family Winter Vacation!! We enjoyed it!!!! Excellent Location - next to Zephyr Lift!